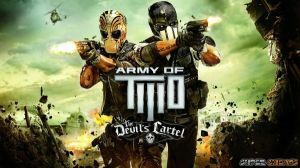 In Army of Two: The Devil's Cartel, players will take control of two new operatives of Tactical World Operations (T.W.O), a private military contractor hired by a mayoral candidate of a cartel-controlled town of La Puerta. Players have to work cooperatively to survive the onslaught of a deadly, well-equipped drug cartel as they complete objectives full of treachery, death and deceit. With the ability to purchase and upgrade their arsenal, players can freely customize and enable the destructive mercenary pair wreck havoc through cartel ranks. I was wondering; when you start a new mission, it says that all progress will be lost. What exactly is meant with 'all' progress? Will I lose all my customised weapons, masks, money, outfits and such?